Product #46460 | SKU LP37007 | 0.0 (no ratings yet) Thanks for your rating! 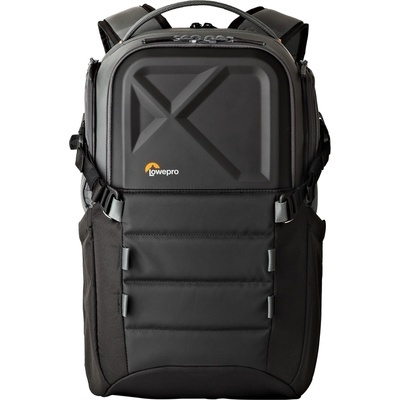 Protect and carry your FPV quadcopter and all essential flight gear comfortably and easily in this Lowepro QuadGuard BP X1 FPV Quad Racing Drone Backpack designed by FPV racing pilots for FPV racing pilots. Attach a racing quadcopter on the exterior and put your transmitter, batteries/charger, FPV goggles, cameras & accessories, tools and spare parts inside.